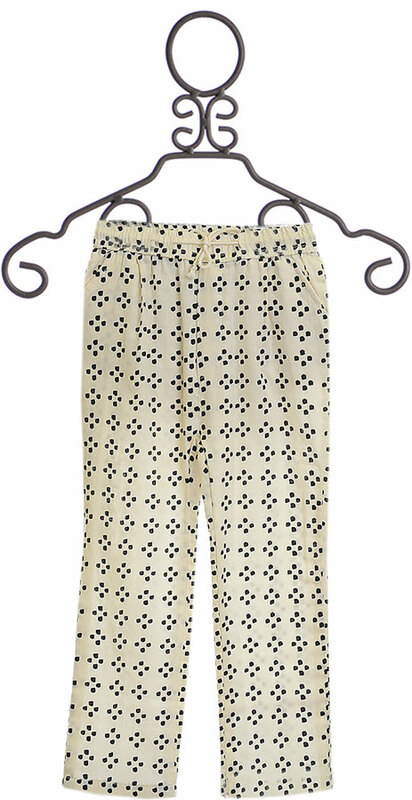 $29 - Ready to create a fabulous outfit with one of their spring 2017 tops, these printed girls pants are from Rylee and Cru. The ivory fabric keeps her cool in the sun while the black dot print reminds us of flowers. She is sure to love the loose fit at the hips and the pockets found on the front and back. The waist is fitted with a drawstring tied in a bow while the shape finishes with straight legs. 100% Cotton. Machine Wash Cold, Tumble Dry Low or Lay Flat to Dry.